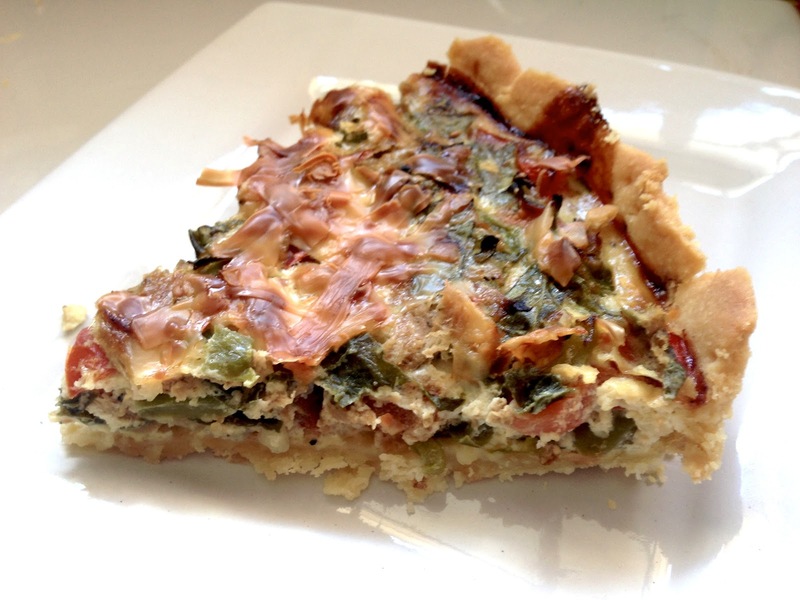 Who doesn't like quiche? Well, quiche is a classic french savoury dish (wikipedia says its from Germany though! 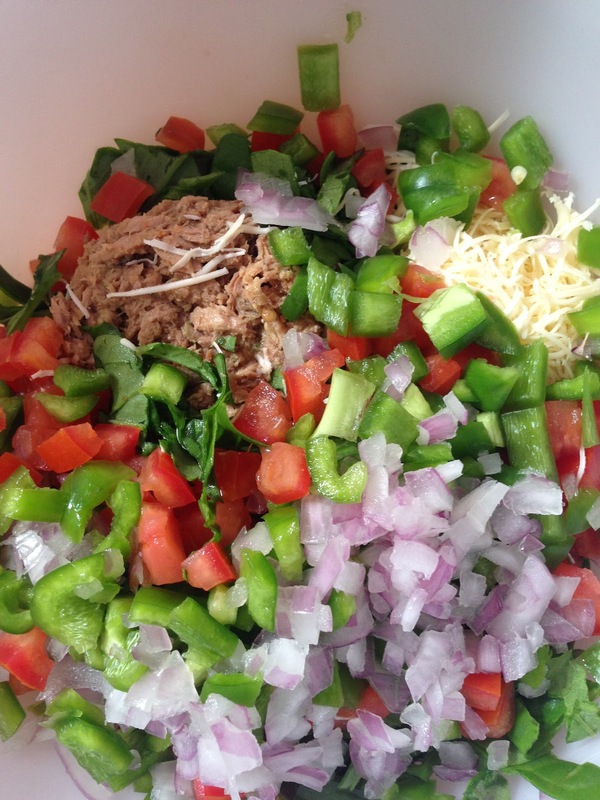 ), perfect for lunch or dinner, any time you like it! What's more amazing about quiche is that you can toss in anything you want in the crust (as long as it is edible of course!) and still taste delectable. 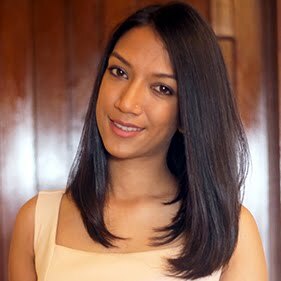 I must say I am not a great fan of tuna, actually I haven't had tuna for almost 3-4 years now, but this recipe made me change my mind..atleast for now! 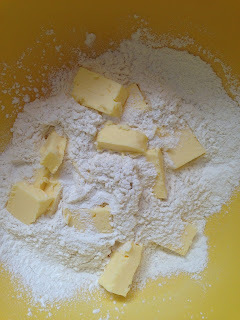 I hope you enjoy it too..
Start by adding the butter to the sifted flour to form a soft dough. 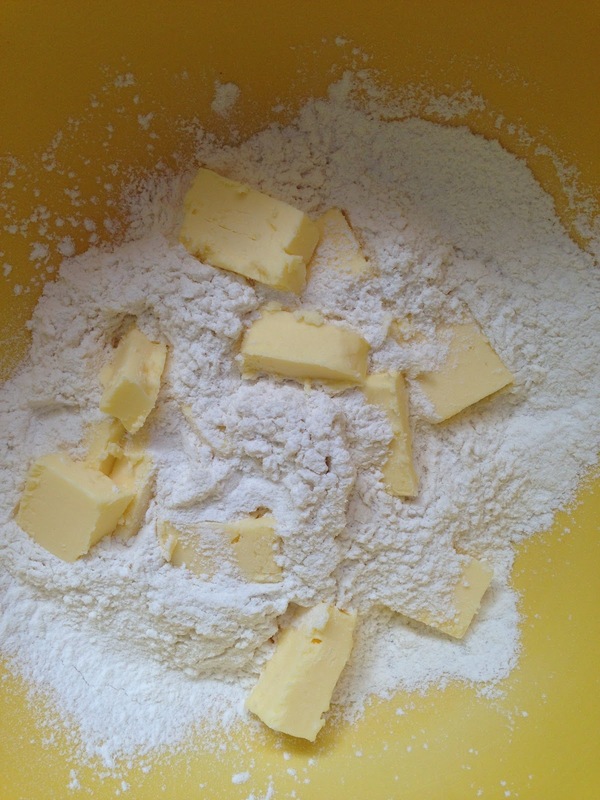 Transfer the dough to the tart pan and using your fingers spread/press the dough evenly. Using a fork pierce the dough and refrigerate for atleast 30 minutes. 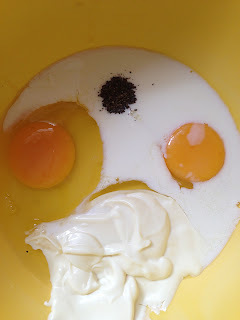 While the dough is chilling, prepare the filling by blending the eggs, milk, pepper, salt and mayonnaise. Beat until you have a homogeneous mixture. Next, combine the diced vegetables, onion, cilantro, tuna and 1/2 cup of the cheese. Mix well. Remove the shortcrust dough from the refrigerator and bake at 200˚F for about 20 minutes. Sprinkle a little bit of the cheese on the warm crust and then add in the tuna filling right below the edge of the crust. Pour in the mayonnaise mixture. 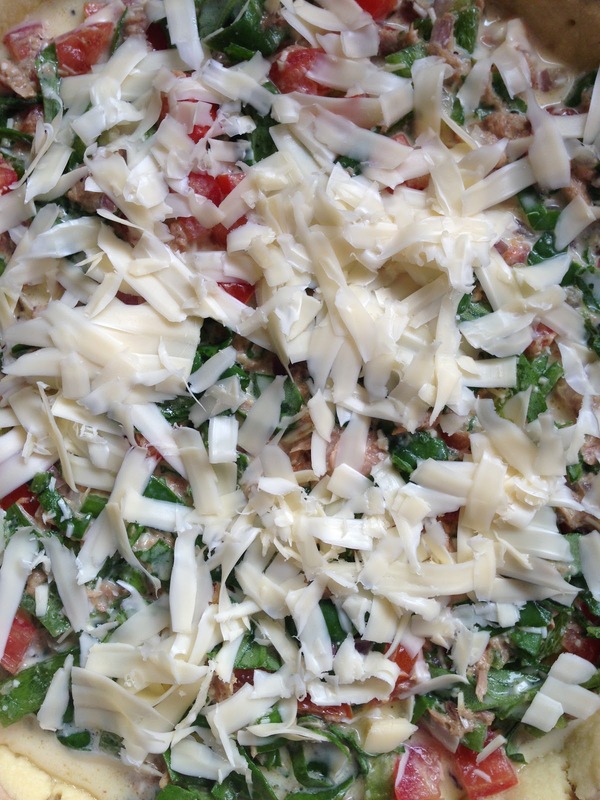 Finish by covering with the grated cheese. 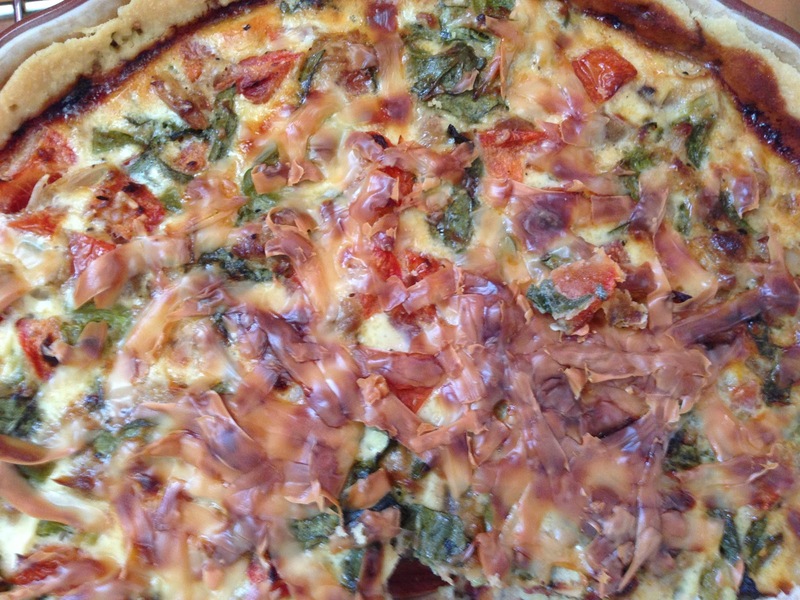 Bake the quiche at 350˚F/177˚C for 1 hour or until the top is golden brown in colour (I cooked mine for 45mins). Remove from the pan. Serve warm or at room temperature, your choice!